In the grand scheme of things, Nashville’s a young city — 200-some-odd years, depending on what you count as our official beginning. But around this area, we seem to have a thing for architectural vestiges of the Middle Ages. Castles, specifically. There’s the Castle Recording Studios in Franklin, built in the 1930s to look like the 1330s; there’s Castle Gwynn in Arrington, inspired by a 12th-century Welsh border castle; Hundred Oaks Castle, just an hour or so outside Nashville, built in 1830 and possessing all the grandeur of a Downtown Abbey episode; and others, too. Then, kind of with surprising frequency, you’ll also find homes for sale in the Nashville area that look pretty remarkably like they were plucked from a Renaissance painting. 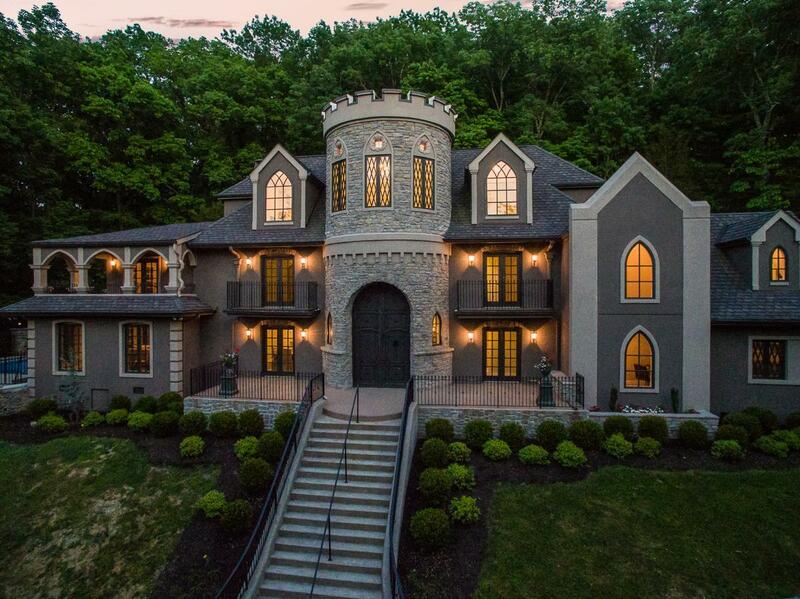 Consider a Middle Tennessee MLS find we were oohing and ahhing over this week: 6008 Hillsboro Pike, a Hillsboro Park home built in 1967 to mimic an English castle, set on 2 1/2 acres of prime Nashville property (and offered now by Keller Williams Realty). It’s true to castle form at first glance: stocky stone exterior, a massive and imposing arched wood door with thick iron details, a prominent turret with arched Tudor windows, loggia and balconies and all. Inside, though, the nearly 6000-square-foot home is surprisingly airy and light, with a top-to-bottom remodel bringing in more modern textures and finishes — lots of white cabinetry, neutral tiles, warm hardwoods and light carpets. If the exterior is embracing ancient aesthetics, the interior is more… traditional, but updated. The clincher with this home-is-my-castle property: the outdoor entertaining space. With that crystal-blue pool and ample areas to lounge, it’d be a lot easier to get through a southern summer with a smile. 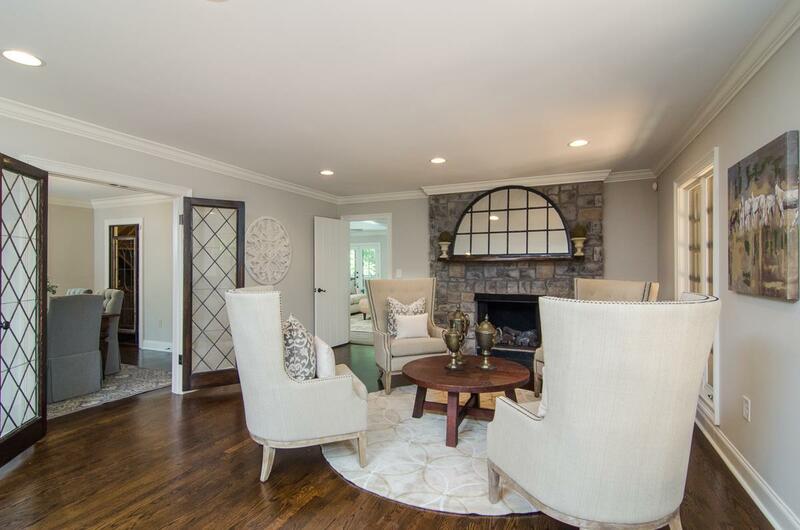 Take a look at more about 6008 Hillsboro Pike, including lots more photos, here. 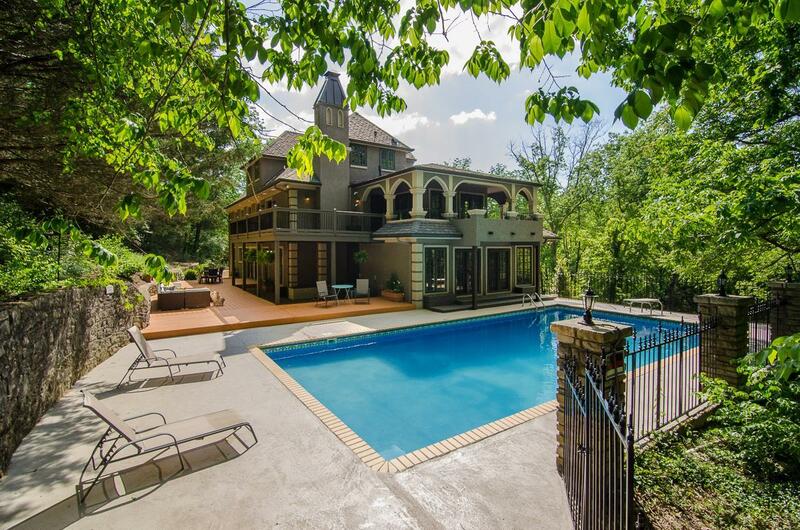 Looking for a regal property in Nashville? Something simpler, and more modern? Whatever’s on your new-home wish list, we’d love to help you find the right fit. 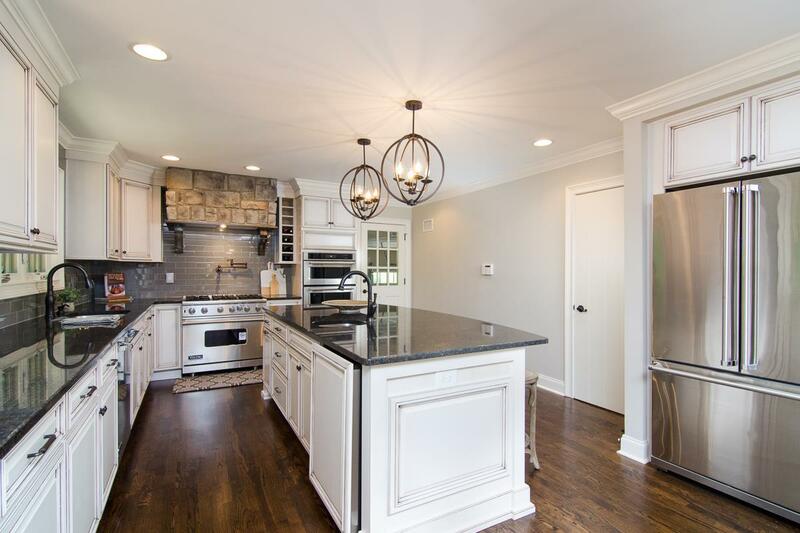 Reach ACRE here, and take a look at Nashville homes on the market now. Listing via MLS, not under agreement with ACRE and/or Benchmark Realty, LLC.